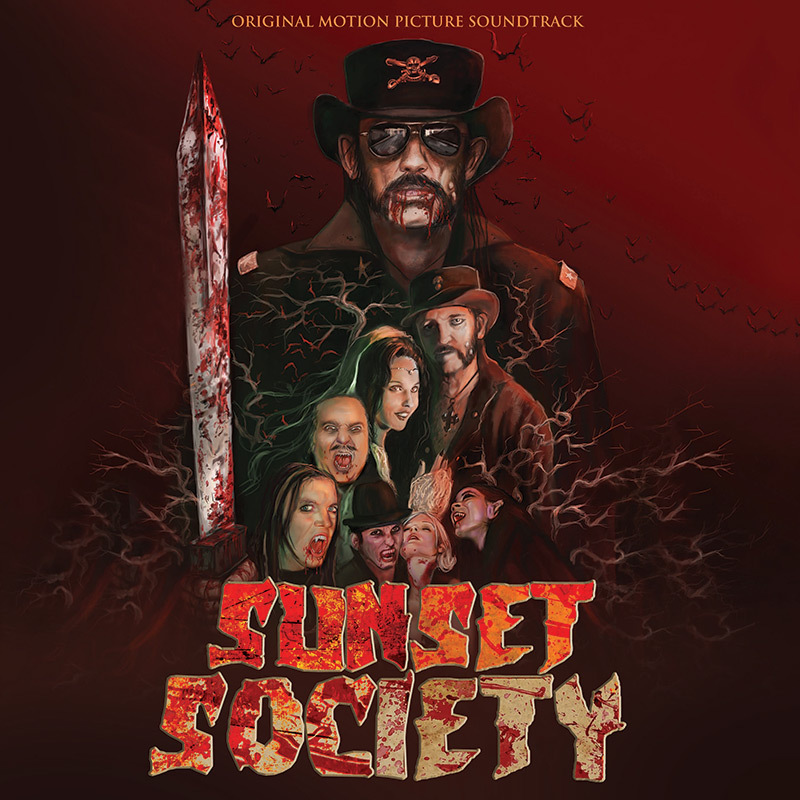 Limited edition red vinyl pressing of the bloody good soundtrack to vampire thriller Sunset Society, starring Motörhead's Lemmy! SKU: CLO0786VL. Categories: Cleopatra, Vinyl, Soundtrack. Limited edition red vinyl pressing of the bloody good soundtrack to vampire thriller Sunset Society, starring Motörhead’s Lemmy! Includes tracks by Lemmy, The 69 Eyes’ vocalist Jyrki 69, Ratt’s Stephen Pearcy, Thor and more PLUS a special original track by Die Krupps’ Jürgen Engler and Hawkwind’s Simon House! The film, which also stars Hollywood icons Tracii Guns (of L.A. Guns) and Dizzy Reed (of Guns N’ Roses), will be stalking theaters and home video in July 2018! Synopsis: Welcome to the world of the Sunset Society, a secret organization in Hollywood where parties are held, musicians gather and blood flows freely! Ace (Lemmy from “Motorhead”) is the head vampire in charge who likes to keep the fun going while keeping the profile low. However, due to a few rebels in his midst, humans are starting to catch on to his vampire ways.